Living with King Richard: Why the controversy? Well, the controversy surrounding the discovery of the remains of King Richard III and his subsequent prospective reinterment, has been gaining momentum over the past couple of months. There have been numerous Facebook pages set up, petitions signed, and newspaper articles written, a number of which I have put links to on the right hand column of this blog. So what happened? Before exhuming any remains, the university had to apply for a exhumation licence from the Ministry of Justice. As part of this process the University specified where any remains would be reinterred, regardless of identity. UoL specified that, if the remains proved to be those of King Richard III, they would be reinterred in Leicester Cathedral. Plans continued for the design of a new tomb fit for Richard III within Leicester Cathedral. Everything coming along nicely. Richard III Society commissioned a facial reconstruction of Richard and Leicester unveiled their new temporary Richard III Exhibition at the Guildhall until plans could be made to build a new visitor centre on the grave site. Lovely jubbly! Job done! Still with me? On the 26th March The Plantagenet Alliance - a group of self-proclaimed 'collateral descendants' of Richard, appeared out of nowhere to request a judicial review of the licence issued by the MoJ to the University. They declared that their choice for the reinterment of Richard is York Minster. "The University of Leicester holds a legitimate licence granted by the Ministry of Justice. As the licence holder the University is responsible for the location of reinterment. Our decision was, and remains, that Richard III should be reinterred at Leicester Cathedral for the reasons outlined below. The plan for reinterment in Leicester Cathedral was clearly stated and unambiguous at the start of the project and announced in a statement on Friday 24 August 2012. This was before the dig started. Reinterment on the nearest consecrated ground is in keeping with good archaeological practice. Richard has lain in the shadow of St Martin’s Cathedral, Leicester, for over 500 years. The landowner (Leicester City Council) gave permission for the excavation of the Greyfriars site on this basis. 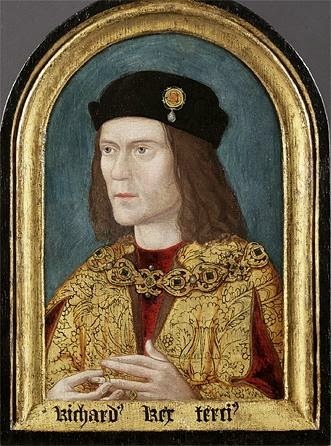 Richard III is believed to have no living descendants. Any distant relations are therefore descended from his siblings. Statistically speaking, many tens of thousands of individuals alive today are descended in this way. There is no obligation to consult living relatives where remains are older than 100 years. The attempt to invoke Article 8 of the European Convention on Human Rights (right to respect for… family life) seems particularly odd given the distance of any relations, the years that have passed and thus the lack of any personal relationship with the deceased. The University will continue to work with our partners, the Richard III Society, Leicester Cathedral and Leicester City Council to ensure an appropriate and fitting reinterment for England’s last Plantagenet monarch in Leicester". Then followed an upsurge in demands from certain groups demanding King Richard should be 'brought home' to York. Some even implied he had personally specified he wanted to be buried in York Minster, although there is absolutely no documented evidence to support this! No will, no letter, no record of a conversation he had with relatives or his bezzie mate...nothing! The pro York petitionists state that Leicester is the last place Richard would have chosen to be buried. And that part of their argument is very true! However, if ULAS had not financed and supported the dig in association with the Richard III Society and Leicester City Council, King Richard would still be the only King of England buried beneath a social services car park! Did the City of York try to find him? Or the relatives with his best interests at heart, the Plantagenet Alliance? No, they did not. And nor would they have. Ever. In fact, had Henry VIII not destroyed the place around 1538 during the Dissolution, Richard would still be in the choir of the Friary as his designated resting place and official burial site, most likely ordered by his successor King Henry VII himself. We know that 10 years after the burial Henry paid about £50 (a lot in those days!) for a marble tomb to be built for Richard. However, it is thought this tomb was destroyed along with the Church. I am sure, had the Friary and tomb survived, that neither the Plantagenet Alliance, nor the York Minster petitionists, would have even questioned Richard's final resting place. You cannot change history. And history has decreed that King Richard III died in Leicestershire and is buried in Leicester. The fact that he has finally been found and will be reinterred in a beautiful and fitting tomb, in a quiet, dignified, and small but magnificent Cathedral - just a few metres from his original grave site - should be a celebration of his life and times and not a very public and undignified squabble about who 'owns' him or what his personal wishes might or might not have been. Leicester has always supported and loved King Richard III, naming schools, streets, pubs etc after him. Also having commemorative plaques, statues and historical tours of places directly associated with him. We are very proud of our association with him, and the fact it is documented he visited Leicester on a number of occasions, not least of all choosing to spend at least one night before the Battle of Bosworth here at the Blue Boar Inn, trying to muster his troops prior to the battle. And let us not forget our friends and neighbours at the Bosworth Heritage Centre (The approximate distance between Leicester and Market Bosworth is 11 miles or 17.7 km ). I have already said on this blog, I am a proud Yorkshirewoman by birth. However, I am in a perfect position to declare my personal opinion on this whole scenario, since I now live here in Leicester, right in the midst of all the action. History, the judicial system, good archaeological practice, local history and folklore, the respect and love of the local people, true facts, the right of the victor to decide where to bury the vanquished, and the pettyness and lack of historical supporting fact shown by the opposition, all point to my decision to support the right of Leicester to keep the mortal remains of King Richard III, reinterred with respect and dignity befitting an anointed King of England, here in Leicester Cathedral. Thank you for all the support so far! Here are some photos I took at the Flower Festival in the Cathedral on 14th Sept. The theme was 'Loyaulte me lie' (Loyalty Binds Me) which was Richard's personal motto. Many of the displays had a Richard III theme including the one of his crown lying amongst some flowers next to his horse and one amazing display depicting the Battle of Bosworth with swords, helmets and arrows in amongst the floral arrangements. The most touching part of this display was the centrepiece of a heart made up of white roses, pierced with a sword and one red rose, symbolising the death of King Richard III. Great blog, excellent photos and what a wonderful and usual set of displays. An excellent blog: sound, rational argument laying out the facts which make it clear who is doing the right thing and who is just causing trouble for their own ends. And lovely photos - wish I'd been able to make it to the Cathedral that day. @ Leicester loves Richard: As a big fan of your blog, I appreciate your kind comments and feedback on my own. Please keep up the good work, it is inspirational to those of us who want to see history, justice and common sense prevail. Thank you. I cheered out loud when I read this. Fantastic, well-reasoned and articulate summation of the current situation. Thank you Paula. Yes, I have seen the suggested design for the tomb and I like it very much, but I can also see why some people may not like it. I think perhaps it will look better in reality than just a design on paper. Of course you will never be able to please everyone with the design no matter what it is. Thank you Keith, I really appreciate your comments. It is indeed the only reasonable outcome. The UoL have followed all correct protocol and procedures and, putting all hysteria to one side and concentrating on the facts, it is plain to any rational person that Leicester has the only justified claim.